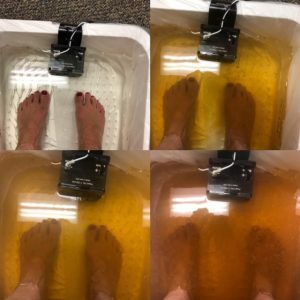 The methods and science behind detox foot baths can get overwhelming to say the least. To put it in simple terms, an ion is a charged atom that has gained or lost an electron which creates a magnetic field capable of attaching to and neutralizing oppositely charged particles. These neutralized particles are extracted from the body through a process called osmosis. The arrow is placed into the water along with your feet. The power supply provides a low level direct current to the array. This causes the metals within the array, in combination with water and salt, to generate charged ions by separating the oxygen and hydrogen in the water. The doctor will determine the setting of the foot bath based on your symptoms and diagnosis. The ions generated by the cleanse then travel through the body attaching themselves to a multitude of toxic substances, thereby neutralizing their positive or negative charge. What this means is that we can create a host of healing for things such as heavy metal detoxification, bacterial infections, chemical toxins, high glucose levels, inflammation and chronic pain. In turn your body is created more Hydrogen Peroxide and lessening the toxic load on your liver and kidneys. Most conventional foot baths are for cheap and lack results. Superior Healthcare only offers top of the line, high end machines which have proven scientific results. In addition, independent studies have shown levels of Urea, Creatinine, and Glucose in the patients water.. Proving that these toxins are being pulled from the body. We are living in the most polluted environment in Earth’s known history. We are continually inhaling and assimilating residues from petrochemicals, plastics, and pesticides that occupy cell receptor sites and block hormone utilization. Toxins damage cells, disrupt our endocrine systems, and impair the body’s ability to absorb nutrients and heal itself. When it comes to exposure to toxins. The body cannot metabolize most of the poisons to which it is exposed. Most of these toxins remain in the body for many years, stored in the fat cells that exist throughout the body . 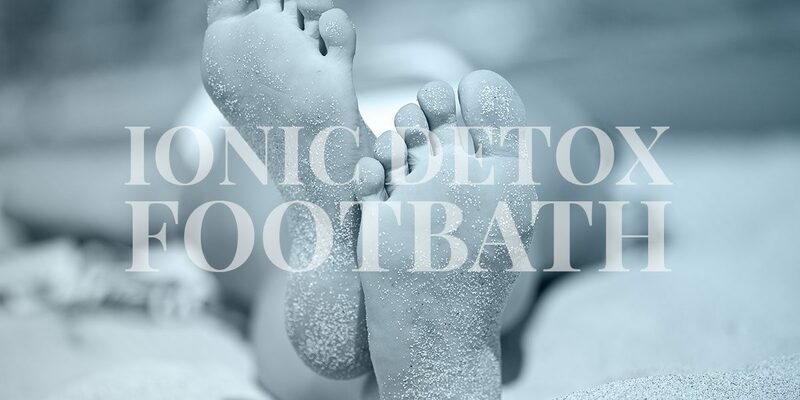 What day would you like to schedule your Ionic Detox Footbath?